This birdnut will conduct the following photo workshops in the next few days. See you there! 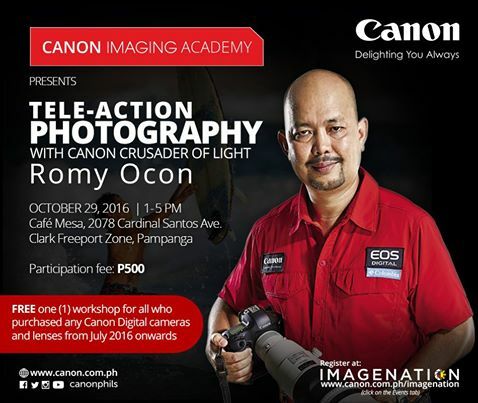 Learn tele-action photography techniques from #CanonPH Crusader of Light, Romy Ocon as you shoot live action at the Pinas Cup! Join this workshop on October 29, 2016 at Cafe Mesa, Clark, Pampanga! 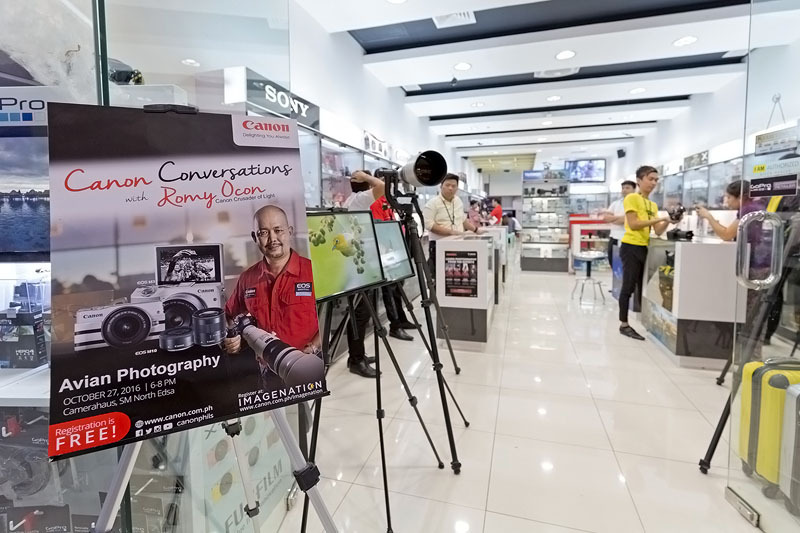 This event is FREE for all those who purchased a Canon camera or lens from July 1, 2016 so please bring your proof of purchase! A minimal fee of Php500 will be charged otherwise. 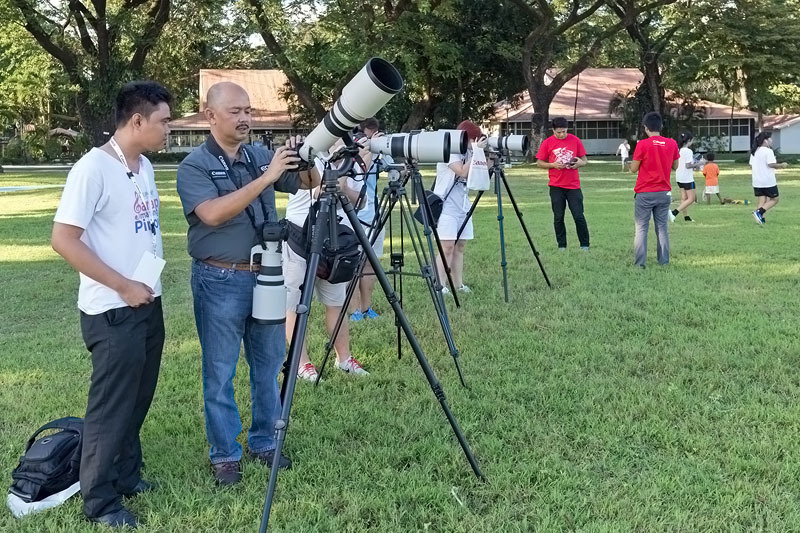 to a workshop participant during a field shoot at Pinas Cup, Clark Freeport Zone, on October 29, 2016. Interested in Avian Photography? 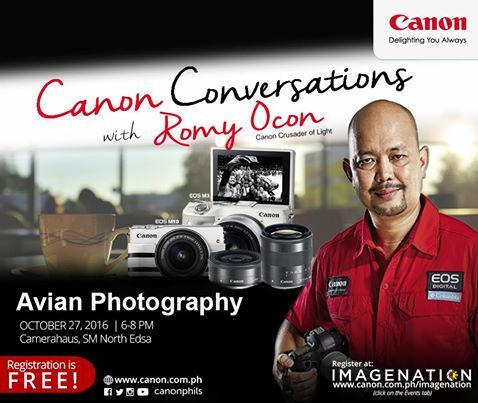 Join our Canon Conversations session with Romy Ocon to learn and share with other photography enthusiasts! 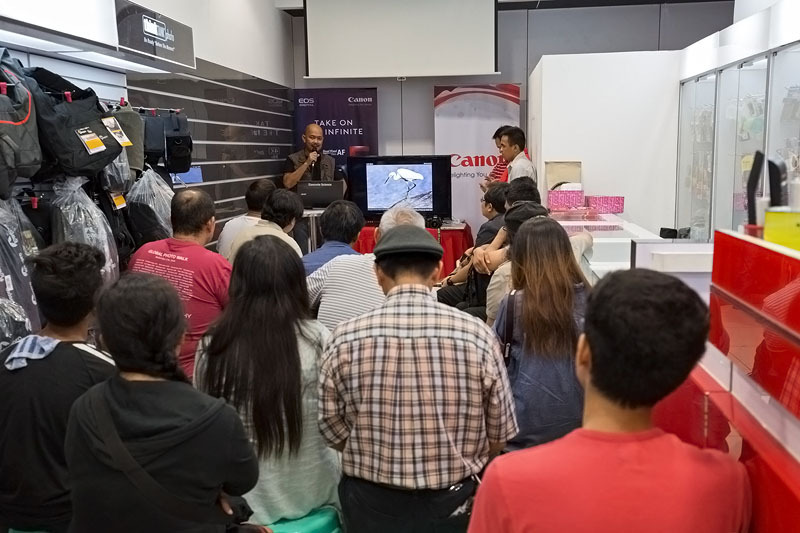 Mark your calendars for Oct 27, 6-8 PM at Camerahaus, SM North EDSA. are on display at the facade of Camerahaus-SM North Edsa Annex on October 27, 2016. Camerahaus-North Edsa Annex on October 27, 2016.